These four recent recording may just offer new, challenging perspectives on the Middle East. The Middle East as a vibrant, urgent scene for some highly imaginative and creative improvisers, working in Istanbul, Beirut and Cairo, challenging our concepts about free jazz, free improvisation and experimental music. Dunia - دُنْيا - is originally an Arabic word that travelled and has incorporated into many other languages such as the Turkish, Hindi, Javanese, Swahili and even the modern Greek and Bosnian. It refers to the temporal world and its earthly concerns and possessions. 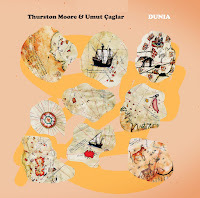 Dunia is a perfect title for the duo album of American guitarist Thurston Moore, ex-Sonic Youth, and Turkish guitarist Umut Çağlar. It captures the essence of their first ever session. This limited-edition of 500 vinyls - the first vinyl release of the Astral Spirits label - and offers three improvised pieces, recorded on June 2016 at the Hayyam Stüdyoları in Istanbul, totaling in a dense and busy 32 minutes. Dunia can be experienced as an immediate, emotional response of these gifted improvisers on the current state of our world, especially in America and Turkey. 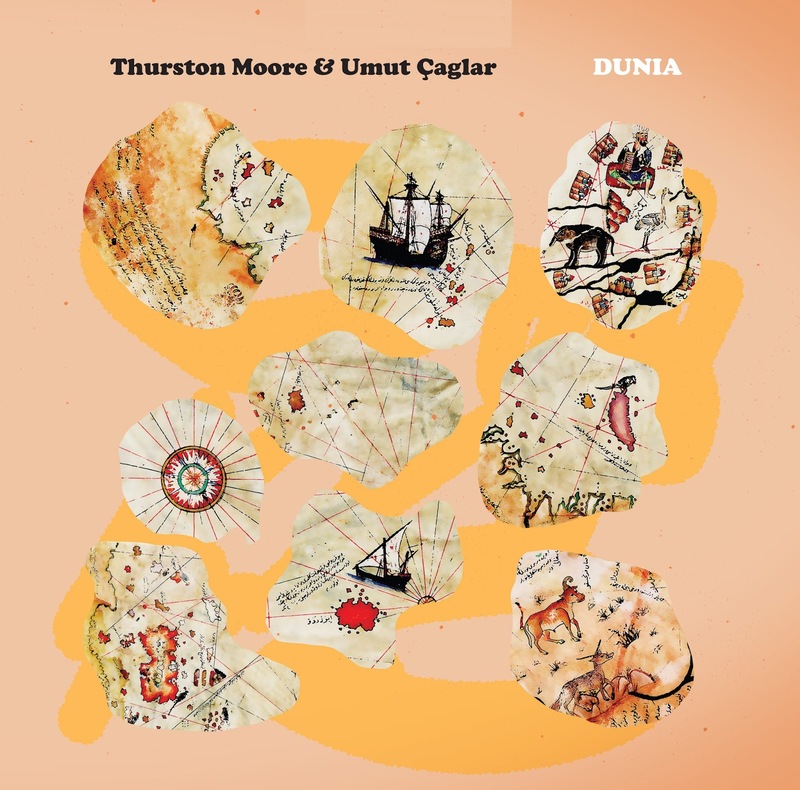 Moore and Çağlar begin with “Kensaku”, a pastoral cacophony of ringing, thorny and jangled electric strings that slowly gets more messy, tense and intense. Moore and Çağlar navigate this free-improvisation straight into the eye of a fiery, electric storm, but conclude with a few twisted-distorted bluesy lines. 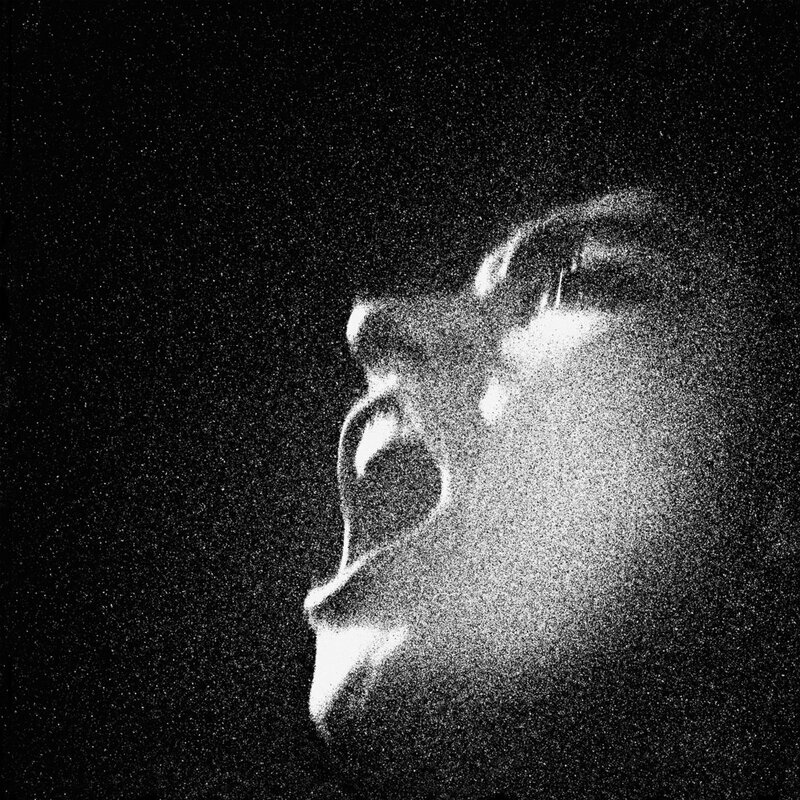 The second side begins with “The Red Sun”, a deafening meltdown of feedbacks, distortion and massive walls of noises. This metallic storm keeps sending more and even more extreme tsunami waves, eventually leaving you breathless and exhausted after only 15 minutes. Fortunately, Moore and Çağlar choose to end this excruciating, highly gratifying experience with the brief, rhythmic outro “Echo”, leaving some signs of hope for our shared, endangered Dunia. The Turkish group Konstrukt likes to expand its sonic palette with guest musicians. 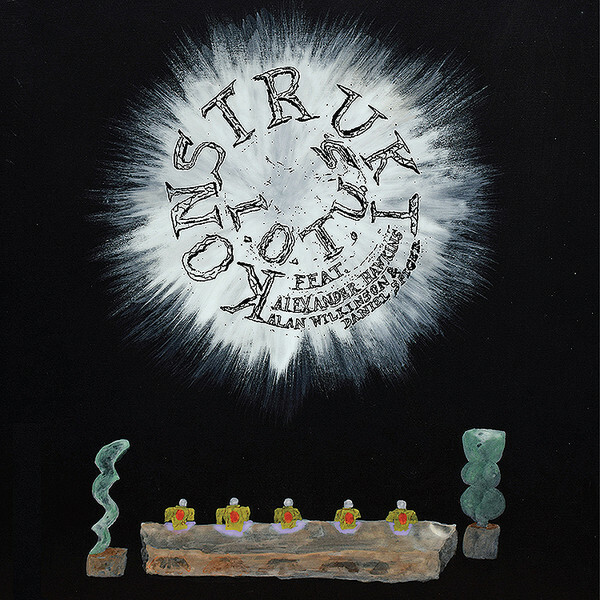 Since its foundation about ten years ago, Konstrukt has collaborated with some of the most seminal improvisers - sax players Marshall Allen, Peter Brötzmann, Evan Parker, Joe McPhee and Akira Sakata, double bass player William Parker and guitarists Eugene Chadbourne and Thurston Moore. Konstrukt - reeds player Korhan Futaci, guitarist-multi-instrumentalist Çaglar, bassist Barlas Tan Özemek and drummer Ediz Hafızoğlu, first met British pianist Alexander Hawkins and reeds player Alan Wilkinson at the 2013 edition of the Austrian Konfrontationen Festival in Nickelsdorf. Two years later the quartet met again with Hawkins and recorded their live performance at London’s Café OTO (released on OTORoku/Holiday Records, 2016). The next meeting, captured on L.O.T.U.S., happened after Konstrukt was invited to in the Brighton Alternative Jazz Festival on September 2016. Hawkins joined Konstrukt in the Brighton and on the following performance at Café OTO reeds Wilkinson and multi-instrumentalist Daniel Spicer (the director of the Brighton festival, who is also a writer and critic, broadcaster and a poet) also joined. These British improvisers share Konstrukt passion to blend free jazz with cosmic chaos tinged with exotic folk themes. Hawkins played with South African drummer Louis Moholo-Moholo and Ethiopian percussionist Mulatu Astatke and Evan Parker; Wilkinson worked with diverse free-improvisers such as Derek Bailey, Brötzmann, Chris Corsano and Thurston Moore; Spicer also worked with Moore. L.O.T.U.S., the twentieth release of Konstrukt, is another limited-edition of 300 double-vinyls plus download option. Its high-energy, urgent spirit is infectious. It is a free-flowing, spiritual celebration of all kinds and modes of music, past, futuristic, western and eastern ones. The seven-piece ensemble sound as a close unit that has developed an organic and open interplay, shifting and morphing the sonic palette instantly and constantly, recalling ideas from the sixties cosmic and fiery-free jazz, the seventies psychedelic electric-funky-fusion bands with sudden bursts of enchanting and exotic sounds, including some fleeting Brazilian rhythms, even flirting with modern day dance vibes. Karkhana twists Konstrukt's cosmic chaotic concept with more Middle-Eastern flavors. This supergroup, bringing together improvisers from Turkey, Çağlar who plays here on exotic reeds, Lebanese guitarist Sharif Sehnaoui, trumpeter Mazen Kerbaj (who also drew the cover) and bassist Tony Elieh, Egyptian guitarist and oud player Sam Shalabi and keyboards player Maurice Louca, plus Chicagoan drummer Michael Zerang, who is a first-generation American of Assyrian descent. Karkhana - after the Turkish word كرخانة that alludes to the selling of taboo, often prostitution, but today is often used to describe wild parties - convened for the first time in Beirut in 2014. 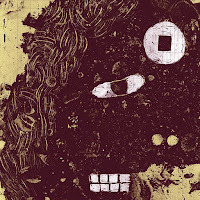 For Seun Matta is its third album and the first one to be recorded in the studio, released on a limited-edition of 500 copies (another album of Karkhana, Al Dar al Hamra, is already in the pipeline, again, as a limited-edition vinyl in 150 copies). Seun Matta is a mysterious character. He was called as a substitute for Elieh and Zerang during the 2017 edition of the Konfrontationen Festival, but none of Karkhana members remember much about him, if anything at all. 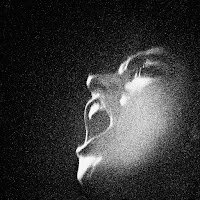 This recording captures faithfully the powerful transcendental atmosphere of Karhana's live shows. “The Seventh Seun” that opens side A offers an hypnotic trance of surfing guitars and oud, eastern folk reeds and driving rhythms. “Pony Ride” is an hyperactive mix of thorny, krautrock-tinged guitars, exotic, funny noises, Sun-Ra-like cosmic-spacey keyboards flights and reeds that sound like erupting from ancient Master Musicians of Jajouka album, all colored by Zerang's arresting drumming. “Gavur” is an enigmatic-dreamy oriental dance that seduces the listener even deeper into the untimely sonic universe of Karhana. Shalabi leads the last piece, “Nafas Kahrouba'i”, opening with a rhythmic oud solo, then accompanied with psychedelic-bluesy guitars but later all surrender surrender to the hallucinogenic, repetitive techno-like pulse. Oiseaux-Tempête is the French experimental-post-rock-noise duo of multi-instrumentalists Frédéric D. Oberland and Stéphane Pigneul. The duo’s third album was partly recorded in the Lebanese capital of Beirut, “during the year of chaos 2016”. AL-'AN ! الآن - now in Arabic - radiates the eager, urgent atmosphere of the Lebanese capital, and a fairy-tale piece of land to make our dreams is an extract from the anti-colonialist poem “The Speech of the Red Indian” by the late Palestinian poet Mahmoud Darwish, who has lived in Beirut. 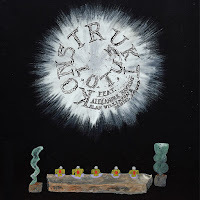 Oiseaux-Tempête ('storm birds' in French) hosts on every project guest musicians, and on AL-'AN ! الآن they have ex-The Ex vocalist G.S. Wok, Lebanese vocalists Tamer Abu Ghazaleh and Youmna Saba, who plays here on the oud, fellow Lebanese guitarists Sharif Sehnaoui and Charbel Haber and French-Lebanese sax player Stéphane Rives. Adding to the local sessions from Beirut many field recordings and electronica layers, courtesy of Mondkopf (aka Paul Régimbeau). Once a people, / now we'd rather flock to the land of birds. / We'll take a peek at our homeland through stones, / glimpse it through openings in clouds, / through the speech of stars, / through the air suspended above lakes, / between soft tassel fringes in ears of corn. Just chiming in to be a bit pedantic, but Astral Spirits has released a number of vinyl LPs before this Moore/Çağlar one. L.O.T.U.S. is fantastic, and as infused by several decades worth of styles as implied in the review. Also, by the way, available on a limited run CD (of which I possess a copy). Thanks for sharing this update on Middle Eastern creativity!